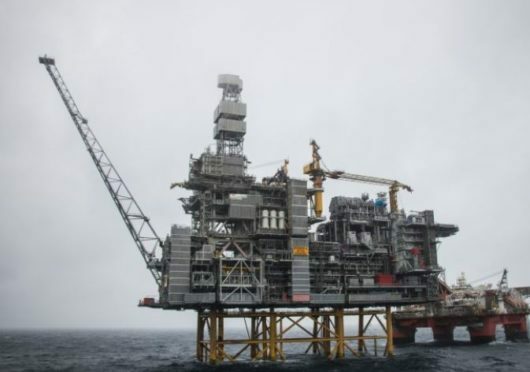 Workers trade union Unite announced yesterday that 200 staff on Equinor’s Mariner platform had voted in favour of downing tools, while at the same time a further 2,500 members had rejected an Offshore Contractors Association (OCA) pay offer after a consultative ballot. Proposed strike action by workers on French firm Total’s Alwyn, Dunbar and Elgin platforms will also go ahead next week, with workers downing tools in a series of 24 hour and 12 hour strikes. Unite announced last night that 83.4% of Aker Solutions employed staff on the Mariner voted in favour of strike action on an 80% turnout. Prospective industrial action and an overtime ban is likely to take place between early August to early October. Unite regional officer John Boland said: “The strength of feeling amongst our members at Aker is rock solid and resolute. Crew on the £4.5 billion Mariner project downed tools for eight hours in an “unofficial strike” on April 7 in a dispute over pay and working conditions. They are believed to have also declined to work overtime the following day. Trade union sources suggested a lack of accommodation had led to unfavourable changes in shift patterns, provoking the dispute. A spokesman for Aker Solutions said: “This is a disappointing development following the presentation of an enhancement to terms and conditions worth up to £8,000 per employee. Unite also announced yesterday that 2,500 of its members had rejected an Offshore Contractors Association (OCA) pay offer after taking part in a consultative ballot. Negotiations with the OCA have been on-going since January this year, with a revised offer on overall pay, terms and conditions framework was made by the OCA in June. Officials from the union and the OCA, which represents nine companies, including WorleyParsons, Petrofac and Wood, have met a number of times to try to resolve the situation. Paul Atkinson, chief executive of the Offshore Contractors Association said: “We are disappointed that members of Unite and the GMB have chosen to reject the OCA offer. Yesterday’s fresh rejections of conditions by union members come as workers on the Alwyn, Dunbar and Elgin platforms are due to down tools on Monday rigs in a row over pay and working hours. The dispute centres on Total’s decision to switch rotas from two weeks on, three weeks off to three on, three off. As strike action was announced, Unite regional officer Wullie Wallace said: “The overwhelming vote in favour of strike action demonstrates our members’ anger at Total’s proposals.